Bad news from Tate Modern: it seems unlikely that Ai Weiwei's Sunflower Seeds installation in the Turbine Hall will re-open to the public any time soon. The show has been fenced off since Thursday afternoon, when it became clear that the thousands of feet crunching over the millions of porcelain seeds were creating a cloud of potentially harmful dust. The exhibition is now firmly of the "look, but don't touch" category, although small pots of the seeds are available for visitors to handle. Understandable as the concern over visitor and, more significantly, staff safety is (museum employees are in the front line here), it's disappointing that such an immersive piece of art has been robbed of its tactile element. With particularly unfortunate timing, the news comes just as the coalition Government announces plan for a shake-up of health and safety regulations. Tate could have done without that stroke of serendipity, although the blowhards bemoaning the gallery's decision wouldn't be happy were it their silicosis-ridden lungs on the line. 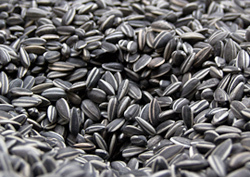 Our review of Sunflower Seeds predicted it would be embraced by visitors sheltering from the winter cold. Doesn't seem likely now. Arguably the best piece of art so far in the Unilever Series has been rendered largely pointless for a lot of visitors, and the sense of disappointment is partly the fault of the gallery: art in the Turbine Hall has become an experience, whether it be jumping onto a slide or walking into a large black box . Londoners might be able to 'get' the point of the art by looking at it, but it sure won't be as enjoyable.